The Chicago Auto Show has been growing in recent years, and this year's gathering reflected the event's new stature in the automotive industry. Several manufacturers have chosen Chicago, rather than Detroit, as the location to unveil important new models for 2019 and 2020. This year's show was help Feb. 9 to 18. 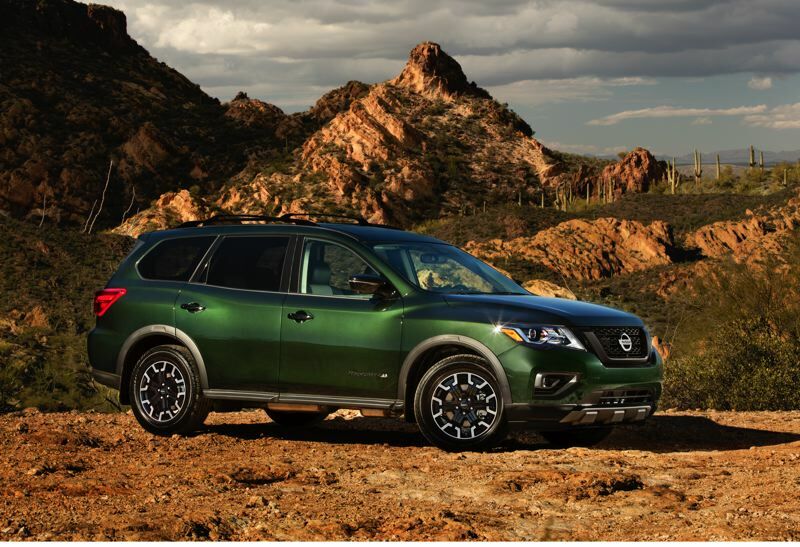 Nissan revealed a new "Rock Creek" trim for their popular Pathfinder mid-size SUV. The new trim should be a hit with Northwest buyers as it includes luxury interior appointments as well as an adventurous exterior look. Key differences between the Rock Creek Edition and standard 2019 Pathfinders include unique dark 18-inch wheels and black exterior trim. Rock Creek trim also includes molded fender guards and unique badging on the front doors. Interior changes include special edition two-tone seating surfaces and badging, high contrast stitching on seats, door, console lid and steering wheel and premium metallic interior trim. The Pathfinder Rock Creek Edition is available on SL and SV Pathfinders, and includes a standard trailer tow hitch and harness, plus splash guards. Both 4WD and 2WD Pathfinder models feature best-in-class 6,000-pound towing capability. 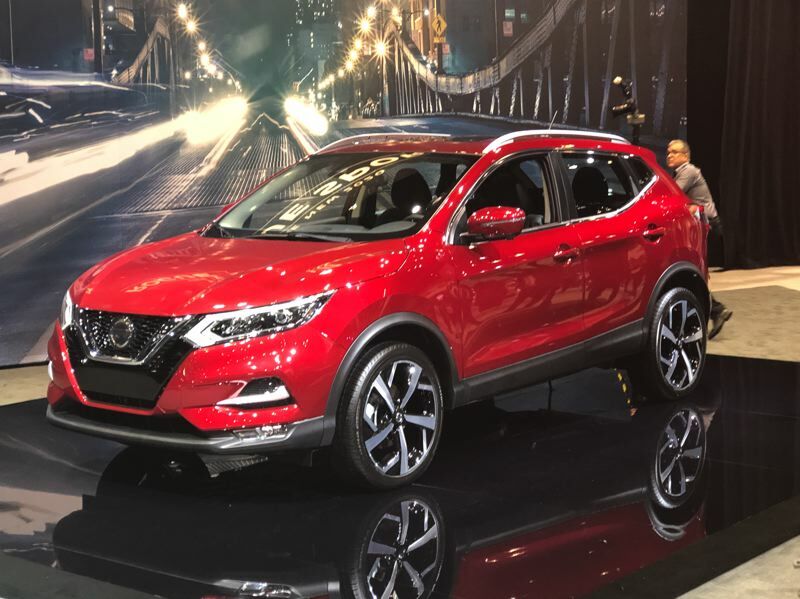 Nissan also unveiled a mid-cycle refresh on the affordable 2020 Rogue Sport subcompact crossover SUV. The new Rogue Sport features an updated exterior design that offers a new hood, grille and front bumper. An aggressive lighting treatment includes LED signature daytime running lights, and rear combination lights. A new 19-inch aluminum alloy wheel design and two new colors, Nitro Lime Metallic and Monarch Orange Metallic, complete the exterior makeover. The 2020 Rogue Sport is set to go on sale in the fall of 2019. Mazda also brought out a new special edition of the brand's iconic MX-5 Miata. 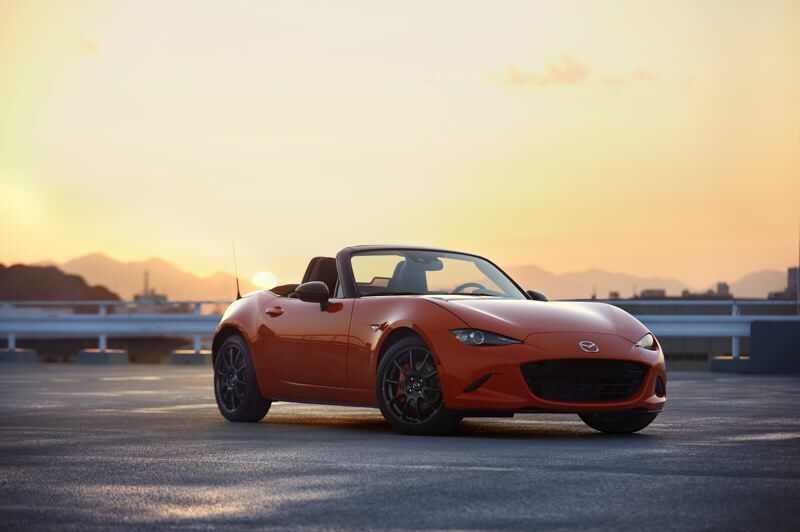 2019 is the 30th anniversary of the Miata's introduction and first sales, and to commemorate the occasion, the 30th Anniversary Miata is offered in a bold new Racing Orange color. The special edition also features orange accents on the Recaro seats, door trim, dashboard, and shift lever. Under the skin, the new model will have Bilstein dampers, orange Brembo front brake calipers, and a nine-speaker Bose sound system. In addition to the new color, the MX-5 Miata 30th Anniversary Edition features forged aluminum wheels by Rays, developed exclusively for the Miata, and a 30th Anniversary badge that displays the car's serial number. Total production of the special edition will be limited to 3,000 units worldwide, including both soft-top and retractable hardtop models. The 30th Anniversary Miata is available for orders at a price of $34,995. Volkswagen took the wraps off the new Jetta GLI compact performance sedan. 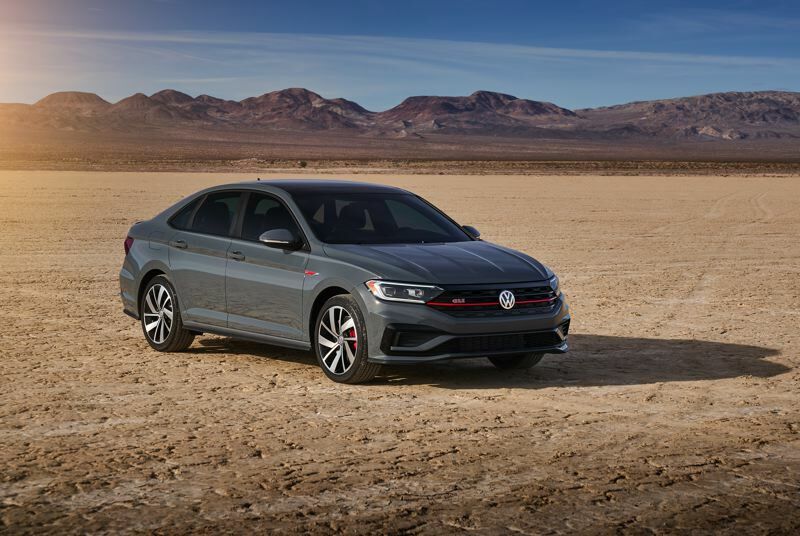 Building on last year's release of the Jetta on an entirely new platform, the GLI adds a turbocharged 2.0-liter engine rated at 228 horsepower and 258 pound-feet of torque. The GLI is offered with a 6-speed manual transmission or a 7-speed twin-clutch automatic, and a limited slip differential to give the front-wheel-drive Jetta better grip in cornering. Additionally, the GIL will have exterior visual cues including striking sport wheels and GLI badging. The Jetta GLI will go on sale in the spring of 2019. Subaru has been building the Legacy mid-size line since 1990, and the model has earned a Top Safety Pick or Top Safety Pick + rating from the Insurance Institute for Highway Safety for each of the last 14 years. The Legacy line has been built in Lafayette, Indiana for the last several years, and the 2020 model will continue to be U.S.-made. 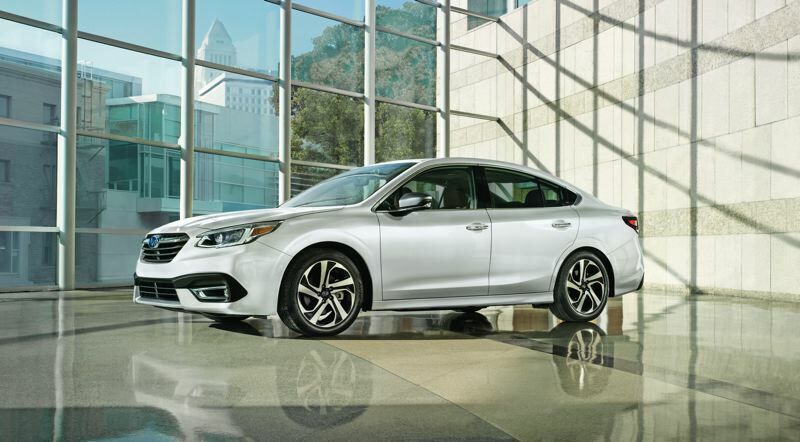 The new Legacy is based on Subaru's new global vehicle platform, and will carry the brand's standard 2.5-liter boxer engine rated at 181 horsepower, mated with a continuously variable transmission. The new car features all-new bodywork, and is exceptionally good-looking. This new Legacy could challenge the European brands in looks and in performance. Subaru will offer the brand's signature EyeSight safety system, which includes adaptive cruise control as well as automatic forward emergency braking. Optionally, an extra-large 11.6-inch touchscreen infotainment interface and HK Audio sound system can be included. Subaru will also offer the Legacy in a special Touring XT luxury-performance trim. The Touring XT trim will feature heated and ventilated leather upholstery and a turbocharged 2.4-liter engine rated at 260-horsepower and 277 pound-feet of torque. Subaru did not announce pricing, but plans to bring the 2020 Legacy to market in the fall of 2019.